There has been an extraordinary level of hype in higher education (and beyond) about Massive Open Online Courses or MOOCs. Vice-Chancellors and their senior management teams up and down the country have been fretting about the developments and whether they need to get on board with one of the big players to avoid missing out. Two UK universities have recently announced their membership of a MOOC consortium with both Edinburgh University and the University of London signing up with Coursera. Meanwhile in the US the governance chaos at the University of Virginia where the President was forced to resign by governors and then reinstated two weeks later was prompted, at least in part, by differences of opinion on institutional strategy in relation to MOOCs. As noted in an earlier post, MOOCs are big and new and challenging for universities but in many ways they are a contemporary echo of aspirations for wider access to higher level study from an earlier age. So, if your university is asking whether it’s going to miss out by not joining one of the MOOC consortia or if your senior management team is in a spin about missing the MOOC bandwagon or even struggling to understand what the heck this is all about, here are a dozen good reasons not to panic. There isn’t a business model for MOOCs that stacks up. OK, there are hundreds of thousands of students enrolled but they aren’t paying a penny for the privilege. And it really isn’t free to design, develop and deliver online provision. The unit cost per student may be negligible but the real up front costs and maintenance are non trivial investments as noted in this earlier blog. Badges. Universities deliver higher education. We award degrees. MOOCs however adopt the cub scout approach to knowledge acquisition by giving you a badge or a nice attendance certificate if you make it to the end. Accreditation matters. Academic credentials have meaning and currency because of how they are attained and the means by which academic standards and quality are assured. Badges don’t offer this. They are just, well, badges. While we’re on the subject: Quality assurance – there really isn’t any to write home about. This is not to say that any old garbage will be delivered by anyone with a camera, a cool shirt and a wifi connection but rather that the quality assurance frameworks which govern MOOCs are, inevitably, fundamentally different from those which operate in universities. Standards. Similarly, it is pretty much impossible at the moment to assure the academic standards of MOOCs. Whilst part of the idea is to encourage collaboration between students and despite the introduction in certain specific cases of supervised examinations, plagiarism is inevitable and there is simply no way to test whether any assessment is genuinely a student’s own work. Online isn’t that new and shiny. Lots of universities are already delivering online provision. Just look at iTunesU – there are hundreds of institutions represented and thousands of educational courses and other offerings. It’s not a revolution. Despite what Moody’s may say, we’ve been here before. From correspondence courses to the launch of the Open University and from Mechanics’ Institutes to the University of London External Programme there really isn’t anything in this which has not been done before, albeit in slightly different ways. Wastage rates are enormous. 90% plus in many cases. That really isn’t a ringing endorsement. It’s low stakes for the participants. Many people are taking such courses just out of interest or to brush up their technical skills. While this remains the case then wastage will continue to be high and the hold of MOOCs will be tenuous. Content not education. MOOCs aren’t offering education but rather just content delivery. The classroom and campus experience and the face-to–face interaction with other learners and teachers is a key element of learning. People still matter. Especially in education. Tech. Computers still aren’t very good at marking essays. Most assessments are therefore more limited and plagiarism is easier. Inputs matter. Universities select their students for a good reason. They want them to be able to benefit from the course and have a reasonable chance of completing it. Complete open access means that high wastage rates are the norm and you can’t be confident that the ones who finish the course are any better for it or indeed if they did any of the work themselves. The Open University isn’t panicking. If any institution should be concerned it would be the OU as MOOCs would seem to strike at the heart of their business model. They aren’t. Indeed they seem to be doing better than ever. MOOCs are nothing without universities (where are all those trendy professors going to be educated otherwise?). And, despite what Sebastian Thrun, founder of Udacity, predicts there will be more than 10 universities in the world half a century from now. Numbers. There really are very large numbers of people following MOOCs who traditional higher education is not reaching. Internationally and locally there are opportunities for universities to reach new audiences which they really should be considering. Ethos. The aims of the MOOC consortia in terms of promoting accessibility, participation and democratization of learning are laudable and should not be dismissed lightly. Avoiding complacency. The services we offer to students who do enrol, study and stay on our campuses can always be improved. Students do have a choice and we need to ensure they get maximum value from their university experience. IT. Many universities struggle to harness technological developments to support student learning. We can still do a lot better. 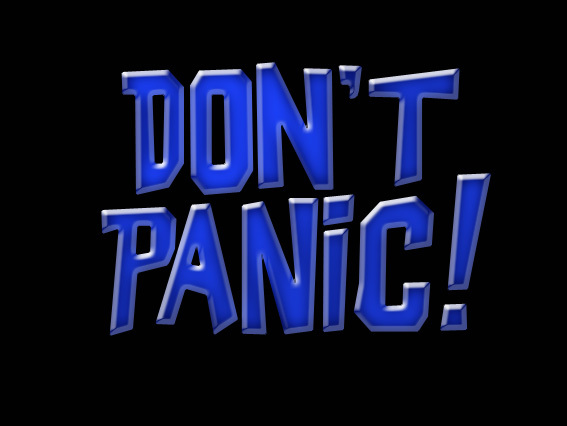 There is no need to panic therefore. At least not just yet. But setting aside the hype there are lessons to be learned and universities will want to consider how to raise their game. Just to be on the safe side. Best apps for university administrators? 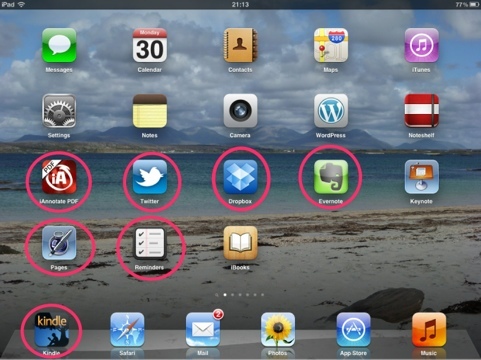 Which are the best apps for administrators? One of my most used and most useful apps. 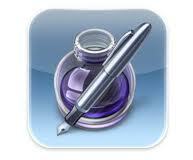 I use it for note taking in most meetings and for recording all sorts of notes and clippings from web pages. 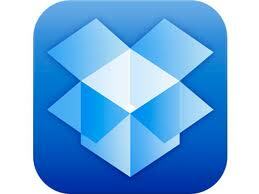 It synchronises across iPad, desktop and iPhone and I really find it thoroughly indispensible. The simplest way to share files. Just very straightforward. An essential, obviously, for the tweeting administrator (although not to be used in meetings). A straightforward but also rather feature-rich word processing app which does cope with and enable export of Word documents. Transferring files does require a little effort but worth it. A really useful app which I use for most meeting papers – enables you to scribble, highlight and add typed notes to pdfs. Very handy. Simple, straightforward to do list with no frills. Er, for reading books. Occasionally even higher education related ones. A very handy summary of some HESA data – total student numbers in the sector, by country and by institution broken down by student type. 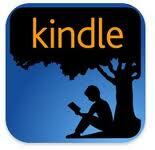 A really lovely app which is effectively a personalised, custom-built on-line magazine. 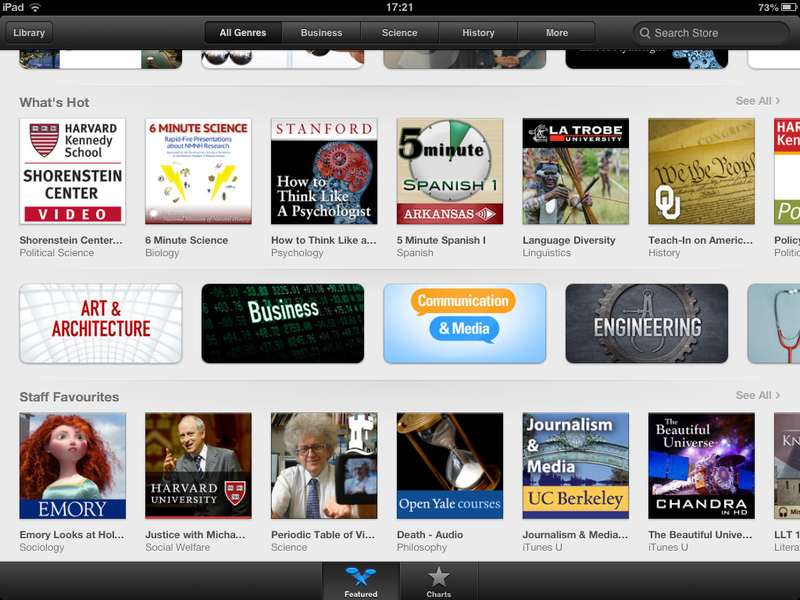 Heaps of podcasts and videos from lots of different institutions and covering many disciplines. 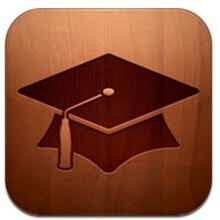 Are there other apps you use which are useful for the university administrator with an iPad?